Solidarity with CCNY/CUNY Students: CCNY Administration: Return the Morales/Shakur Center to students & the community now! CCNY Administration: Return the Morales/Shakur Center to students & the community now! 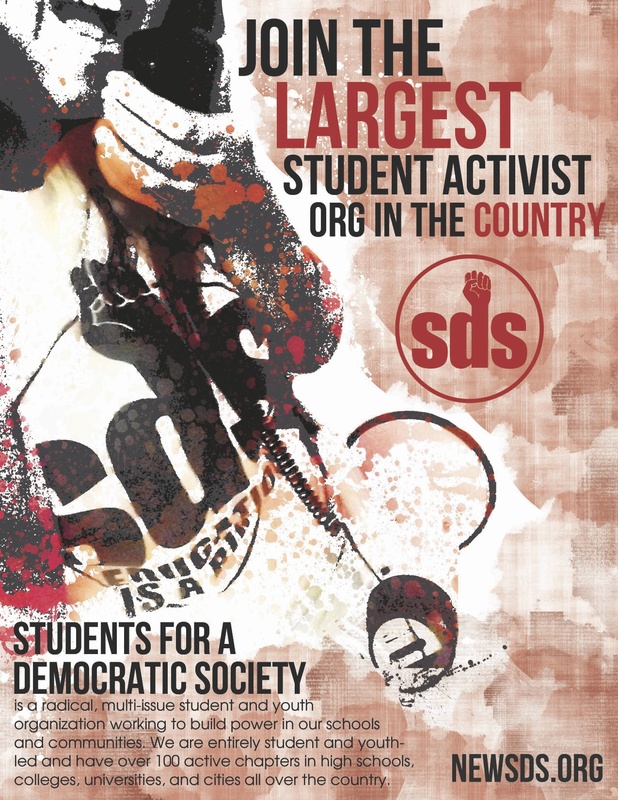 Students for a Democratic Society (SDS), a progressive student activist organization at the University of Minnesota, stands in solidarity with our sisters and brothers at the Morales/Shakur Center at the City College of New York (CCNY), and with all CCNY and community organizations that use that space to build campus and community activism and struggle. We condemn the CCNY and CUNY administration’s attack on student and community activism with their seizure of the Morales/Shakur Center and all students’ and organizations’ belongings that were inside on October 20, 2013 without warning, without consultation, and without explanation, and their arrest of a CCNY graduate in the process. We condemn the administration’s militarized shutdown of the campus to carry out this takeover of an important student and community activist space, even locking students out of their own campus library before midterms. We stand in solidarity with the student and community activist struggles that are part of the Morales/Shakur Center — the struggle for education access and education rights; the struggle against militarization and political repression; the struggle against war and imperialism; the struggle against racism and national oppression; the struggle against patriarchy and sexism; the struggles for immigrant rights, and more. We call on all students to stand in solidarity with the Morales/Shakur Center at CCNY by contacting CCNY President Coico at 212-650-7285 or president@ccny.cuny.edu and CUNY Chancellor William Kelly at 646-664-9100 or chancellor@cuny.edu to demand that (1) the administration immediately restore NAC 3/201 to the student and community members that operate the Morales/Shakur Center and have operated it since 1989; (2) that the administration return all belongings seized from the Center; and (3) that they stop the militarization of the CCNY and CUNY campuses.